Today, September 25th 2016, marks the twentieth anniversary of the release of the Nintendo 64 in North America! The Nintendo 64 was quite the trailblazing console. Not only was it Nintendo’s first system capable of 3D graphics and polygonal character models, but it was also the system that really got 3D gaming right, and paved the way for the kinds of video games we see today. Not only did many of Nintendo’s major franchises make the transition to 3D, but they also opened the door for what video games were capable of with the added third-dimension, and helped redefine a number of genres. It’s true, the fact that the Nintendo 64 was entering new territory means that many of its games, while innovative in their day, haven’t aged particularly well *Cough! Goldeneye! Cough! * others have proven timeless, such as the case with Super Mario 64, Ocarina of Time, and Banjo-Kazooie. 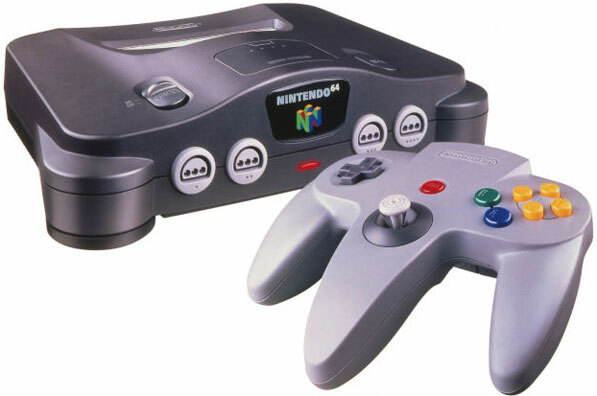 And let’s not forget that the Nintendo 64 also popularized four player consoles! Sure, these days everyone does multiplayer online, but back in 1996, playing a home console with three friends was as good as it got. Whether it was Mario’s first steps into a 3D world, the epic adventures of The Legend of Zelda’s two outings on the console, or getting frustrated at your friends over a game of Super Smash Bros. or Diddy Kong Racing, the Nintendo 64 remains one of the most memorable consoles of all time. Perhaps not all of its games have aged gracefully, but the Nintendo 64 accomplished things no other console had before… or since. The 64 is a really interest point in Nintendo’s history. 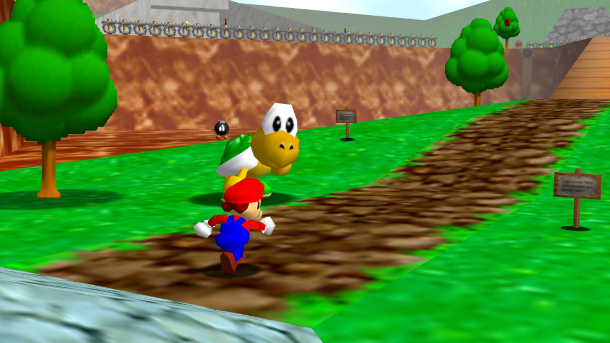 It shows some of their first dedication to local multiplayer in a time when the competition wasn’t making it as important in their consoles. All in all, it was a great console with some amazing games. It may not have had a lot of excellent titles, but the ones that did reach that mark were utter classics! Happy 20th Birthday N64! The N64 is still one of my favorite systems and one integral to my love of gaming. It has my respect! Honestly, I can’t help but feel that the 5th generation consoles are a bit overhyped with nostalgic glasses. Due to the nature of early 3D games, a lot of beloved games from the era just haven’t aged all that well and don’t hold up to one memories a lot of the time, but even with that aside, I feel all systems from the generation only had a handful of memorable games, those of which are very good, but I don’t feel it’s a case where quality makes up for quantity, as both previous and later consoles have games that are just as good and more often than not in bigger numbers. Still, there’s a certain magic feel those games have I haven’t really seen since and I can’t quite describe. Something about the likes of Mario 64 and Banjo Kazooie just hasn’t really been emulated since the end of the N64 and PS1 days. I actually agree with that sentiment. Though I have many a fond memory of the N64 and Playstation in my youth, for the most part, they haven’t aged well. Comparing the N64 to the SNES, for example, well, there is no comparison. The SNES still houses so many classics, whereas many of the N64’s best games now feel clunky and archaic. There are exceptions, of course, with games like Mario 64, the Zelda titles, the Banjo-Kazooie games, and Paper Mario all standing out as great games. But many others, no matter how influential they may have been, just don’t hold up. Same goes for the Playstation. Happy 20th birthday to the N64. This was my very first console and was the reason I got into gaming in the first place so it holds a dear place in my heart. It has a lot of classic titles on it that are still playable and have stood the test of time.